Location 1869 Noosa Road, Traveston. Phone: 5485 1975. A 30 acre property, that was part of a 200 acre Grazing and Fruit Farm which was sub-divided some 30 years ago and overlooks Woondum National Park and is in the upper catchment of Dingo Creek, part of the Six Mile/Mary River system. We moved to the property 13 years ago, Mel direct from UK. The bulk of the property is given over to grazing for Estelle’s horses. The Orchard and Veggie areas occupy about 4 acres and the hardwood plantation and rainforest plantings a further 6 acres. 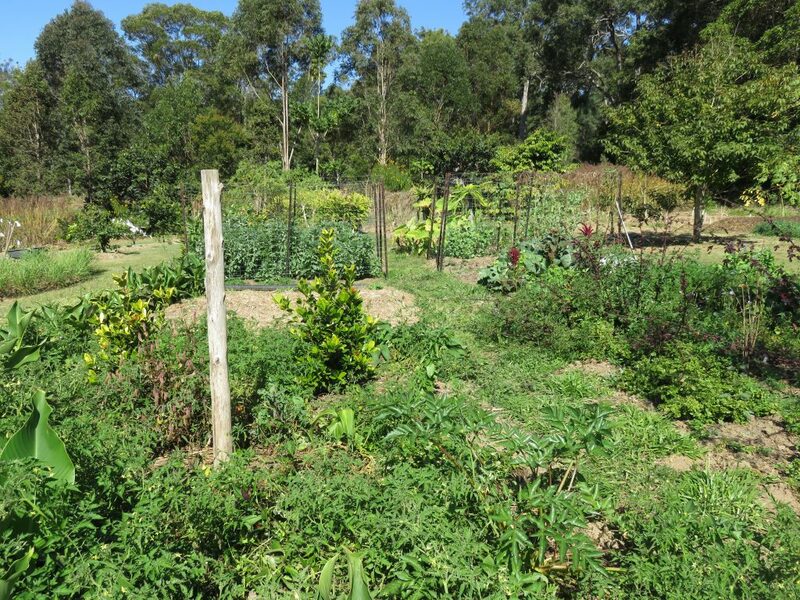 A wide range of cool season and tropical veggies are grown in both traditional beds and food forest type plantings. What has to have been the most favourable winter growing season, since Mel’s arrival in Australia has resulted in an abundance of food, much still in evidence. A real success has been the successional sowing, which again can be seen. August represents the change of seasons and some plants are indicating Spring has arrived. The preparation of beds for Spring planting will be demonstrated along with the planting of Summer staples Jerusalem Artichokes, Yakon, Ginger and Turmeric. Planting material will be available. 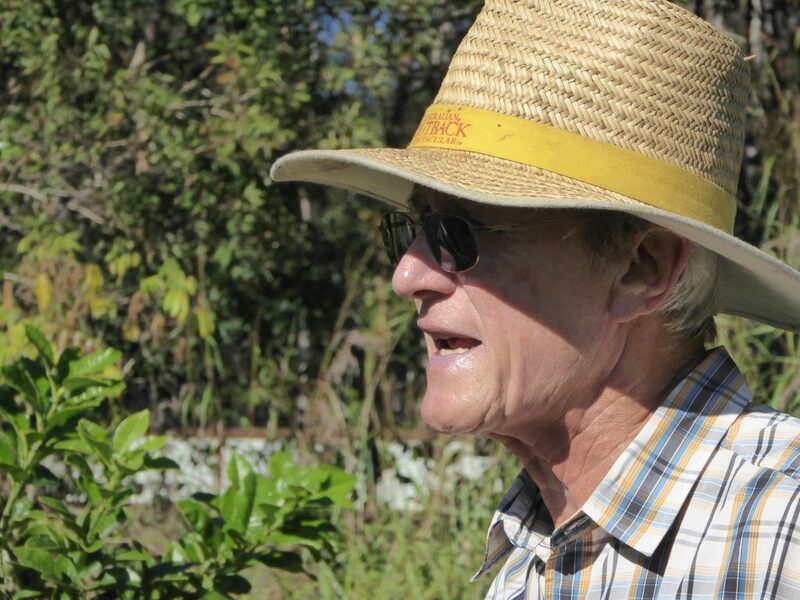 The wide variety of fruit and nut trees now number well over 120 and include citrus that were budded at our grafting workshop in 2016. Pruning, fertilising and seasonal pest control will be in evidence and demonstrated on the day. The huge amount of mulch required is produced on site comprising hay collected from paddocks or from the extensive plantings of East Indian Lemongrass, grown specifically for the purpose. Mel will demonstrate the harvesting and processing of the latter. Composting and general soil improvement are an ongoing activity on the property and again the different styles/methods will be on display. Currently there are several areas of cool season Green Manure, nearing maturity. There should be a good selection of citrus and unusual veggies ready for tasting. Brief directions: travelling from Cooran on the Traveston Road, turn right, at the Traveston Village sign into Howe Road, which passes under the railway line. At the junction with Noosa Road, turn Left….we are the second property, third driveway on the right. Please try and car share as Parking will on site……there is NO on road parking!